This winter is one that just doesn’t want to end. We have yet another day of being trapped inside by ice and snow. I am SO ready for spring! To add a bit of comfort to my day I have baked this granola and have a pot of bean soup on the stove as well. The house smells delicious! 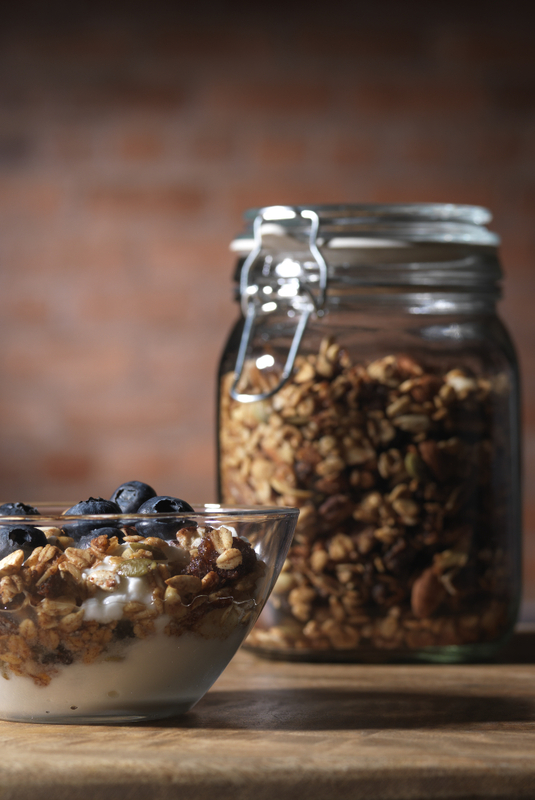 Thought you might like to try the granola yourself so here is the recipe below. 1. Preheat oven to 300 degrees F. Place the rolled oats, chopped nuts, and spices into a medium-sized bowl. Mix well. 2. Add the maple syrup, melted coconut oil and vanilla to the oat mixture. Toss together using two spoons. Add shredded coconut and any seeds if desired, toss again. 3. Spread mixture onto a large cookie sheet and place in the oven. Bake for 35-40 minutes, turning occasionally with a spatula. 4. Remove from oven and stir in any dried fruit if desired. Let cool completely before transferring to a large glass jar.